Do you sometimes find yourself struggling to create your own style? Is your wardrobe cluttered with accessories and pieces that, though enjoyable on their own, don’t seem to fit together or “feel” like you? Does shopping bring frustration when you find styles that seem like they could work, but somehow don’t? Struggle no further. You’ve come to the right place! 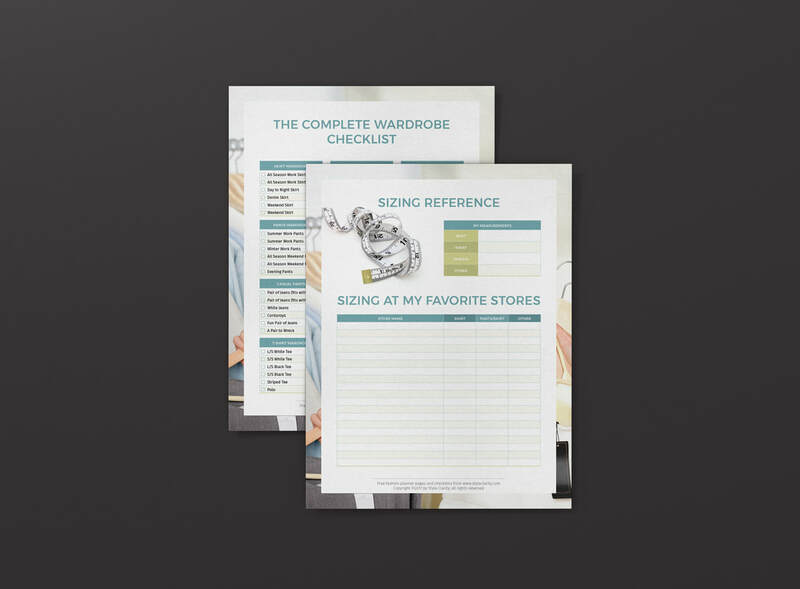 Please visit our free planners, guides and resources pages for free information and articles covering wardrobe planning, fashion and style. There are many resources that will show you what fits your shape, or what colors to wear. This guide is different. It takes you on a journey to define your personal style, and help you develop a working wardrobe that suits your taste. There are other fashion and style sites that will tell you exactly what pieces to wear for your body shape. Some will tell you what colors to wear for your season. Others yet will want to pigeon hole you into a fashion category via 5 question quiz. This site is a little different. We are here to talk about your style, your taste, what clicks with you when choosing clothes. At Style Clarity, our goal is make you feel great about finding and maintaining your own personal style. We want to make your life easier in the long run, make shopping a more enjoyable and fulfilling experience, wardrobe building a pleasure and help you embrace the style that truly speaks to you and your unique personality! Create and wear your style with pride and confidence with a little help from your friends here at Style Clarity! Want to hear about all our great freebies and site updates first? Sign up for our newsletter to stay in touch! Copyright © 2018 Style Clarity. All rights reserved.